Each of our student workers has contributed significantly to our department this semester. We don’t think anyone walking into our space would know that we moved the entire department over the summer. Not only have we managed to declutter, but we have made great strides in a variety of projects. Matthew Stephens assisted in many ways with de-clutter and arrangement of the processing area (not to mention a lot of heavy lifting back in the summer when we moved). He resumed work in the Wendell Broom Papers. At this point he is boxing the collection which means the end is near. Having a processed collection of this magnitude will greatly enhance our capability to foster research in missions in the personal papers of one of the foremost missiologists among Churches of Christ in the later 20th century. Natali Gonzalez continues translating and arrangement of photographs within the Haven Miller Papers. Miller spent a career preaching and teaching in Spanish-speaking contexts. Natali’s work makes Haven’s work available to researchers and scholars; she is opening doors people will use for years to come. Just this semester, Natali (who came to us with no prior experience in archives) has processed three small collections (James D. Bales Papers, George S. Benson Papers, Mac Lynn Papers) and now the Haven Miller Papers. Kayla Sanderson processed small collection from a congregation in Utah and tackled a diverse set of papers and artifacts from the Zellner, Stroop and Lipscomb families. In addition to a full processing job (full arrangement and description of paper and dimensional objects) Kayla spent considerable time researching the Zellner connection to ACU’s history. The result will be a series of illustrated blog posts about these families and their significance to ACU’s history and the history of education among Churches of Christ. Both Natali and Kayla pay close attention to detail; the result is their work is well done. Sarah Agee enthusiastically embraced a project that has feet in two worlds. She is working under a grant from the Pruett Gerontology Center to make available oral histories from older African-American Churches of Christ preachers. So her work represents a partnership between the Pruett Center and Special Collections. Sarah spent hours and hours reading and researching black church history so she can fill in details about the people and places mentioned in these audio and video-taped interviews. This project is really interdisciplinary in that it touches on sociology, gerontology, religion, American history and black studies, plus, of course, archival studies and the practice of recording, transcribing and disseminating oral histories. Audrey Schaffner is almost to the end of the first phase of a really neat project of digitizing several sermons from the mid-twentieth century. They are from the premillennial segment of Churches of Christ and feature Robert H. Boll (with others). These tapes came to light from an woman who discovered them among her deceased husbands effects and gave them to Larry Miles who then donated them to ACU; upon receipt of them we put Audrey to work. She learned to operate the reel-to-reel machine and monitored the transfer of this content into digital form. We think many historians will be very interested to hear Boll’s voice after sixty-years. While the tapes were running, Audrey processed a collection of files about Churches of Christ congregations from across the US. And…she assembled hundreds of snippets about ACU history in 140-character Twitter-ready sentences. It is a ‘today in ACU history’ project. We think it will be a great ‘hook’ to generate interest in special collections. Audrey and Sarah also helped quite a bit with decluttering, processing gifts books, etc. Simone Owens has helped Dr. Berryhill with administrative tasks like paperwork, filing, sorting and arranging a mountain of paper. Her work makes Dr. Berryhill’s work much easier and more efficient. Simone also helped in a big way with the mountain of gift books we processed over the semester. No matter what we managed to throw at her, Simone tackled it and got the job done. Last but not least, Simon Summers joined the Digital Scholarship Center as its first student worker this past Fall. He promptly began scanning Dr. Everett Ferguson’s teaching collection of 35mm slides of Graeco-Roman antiquities, entering metadata into a Google Form specifically created for this project. After three months, Simon has successfully scanned over 5000 slides, and has written metadata for over 4400. Donald Simpson cannot begin to express the gratitude he has for Simon’s diligence and focus on this project, as well as his overall character. Simon’s work continues to add significant resources to our digital presence and the communities it serves. Horace Coffman was born on February 27, 1915, near Potosi, Texas. He attended Abilene High and then went on to earn his bachelor’s degree in religion and music from George Pepperdine College in Los Angeles. Coffman graduated in 1944. While he was there he met and became friends with M.
Norvel Young. While there he met and married Dott Forsythe in 1943. He worked for five different congregations throughout Southern California for seven years. 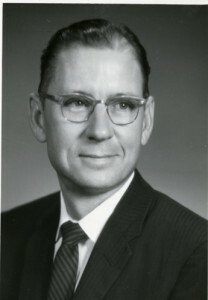 In 1946 M. Norvel Young, who was now the Preaching Minister for the Broadway Church of Christ in Lubbock, Texas, wrote Coffman asking if he would be interested in the Associate Minister position there at the Broadway Church. Coffman accepted and he and Dott moved to Lubbock in October of 1946. During his work at Broadway Coffman served under many different ministers. 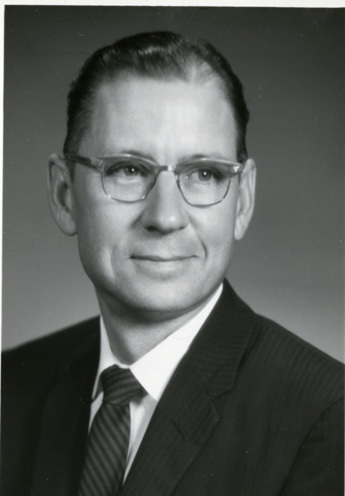 M. Norvel Young, Bill Banowsky, and Joe Barnett are only a few of the preachers and evangelists he assisted with the work in Lubbock. Horace was involved in all phases of the work at Broadway including counseling, personal work, visitation, benevolent case studies, Bible school teaching, funerals, weddings, and all music activities. The wedding chorus he organized in 1947 sang for over 60 weddings a year and about 70 funerals a year. He led many singing schools throughout Texas and other states at various churches and taught at every Lubbock Christian College music camp since its inception in 1957. He also appeared as a speaker at various lectureships and gospel meetings. Coffman’s legacy at Broadway is one of a healer. The innumerable lives he touched and counseled through times of grief and pain as well as joy and life are a testimony to his work both in the church and in the city of Lubbock. He and Dott had three daughters and one son. They served the Broadway church until 1999, a total of 53 years of continuous service at one Church of Christ. This is the longest known relationship of a single minister with the same church in the Church of Christ fellowship. Late in life Horace was diagnosed with Alzheimer’s disease. He suffered with it for several years before finally passing away on December 8th. 2006. Joe Barnett performed the funeral Coffman is buried in Resthaven Cemetery in Lubbock, TX. The Friends of ACU Library blog has a great little post from one of our volunteers. Go check it out!